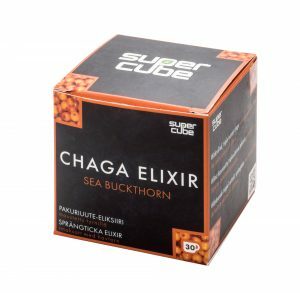 Ready-to-use Chaga Elixir with Sea Buckthorn (Hippophae rhamnoides). Infused with hand-picked sea buckthorns for even more vitamin C and a bit of a taste! 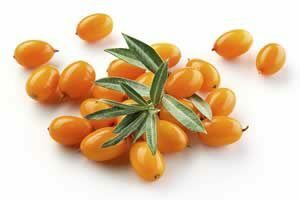 Sea buckthorn has antiseptic qualities and containst a lot of Vitamin C and antioxidants. It also contains a lot of polyunsaturated fats which have positive effect to skin, hair, heart, vascular system and mucous membranes. This berry is also high in fiber, and all our berries are freeze-dried to retain all the vitamins. Afterwards they are pulverized and mixed with the chaga powder.